Over the past months at least three ultra-solid mixtapes have been put out. I’m talking about Kabaka Pyramid & Walshy Fire & Major Lazer, Jah9 and O.B.F. Soundsystem featuring Ishabel & Wildlife. All three are absolutely devastating. Kabaka Pyramid started in the music business as a rapper, but turned into reggae. On this musical gem Walshy Fire and Major Lazer let him rap and toast over classic riddims and hip-hop beats showcasing his ill skills. It also features a number of exclusives and collaborators like Raekwon of Wu-Tang Clan, Chronixx, Protoje, Pressure and Hempress Sativa. Just press play and enjoy. With this mixtape one of Jamaica’s finest and most honest singer’s gears up for her highly-anticipated second album 9, out on September 9. This part two instalment follows her 9 mm Vol. 1: Message Music – released in 2012 prior to her debut album – and features original and never-before-heard tracks where Jah9 shines both musically and spiritually. With a number of covers she also celebrates some of her musical role models – Nina Simone’s Misunderstood, Tracy Chapman’s She’s Got A Ticket, Ras Michael’s New Name and Dennis Brown’s Bloody City are all features. And so is a fresh Sizzla medley. Sit back, press play and enjoy. This killer new mixtape from French soundsystem O.B.F certainly lives it to its title. Brimstone and fire with gravel-voiced vocalist Wildlife and the versatile Ishabel along with a number of other artists, including Jesse Royal, Charlie P and Pupajim. O.B.F has also enlisted the help from other producers and riddims from Dubkasm, Maximum Sound and Mungo’s Hi Fi are also included. This one is a certified scorcher, so turn up the volume, lock the door and hope the neighbours aren’t home. 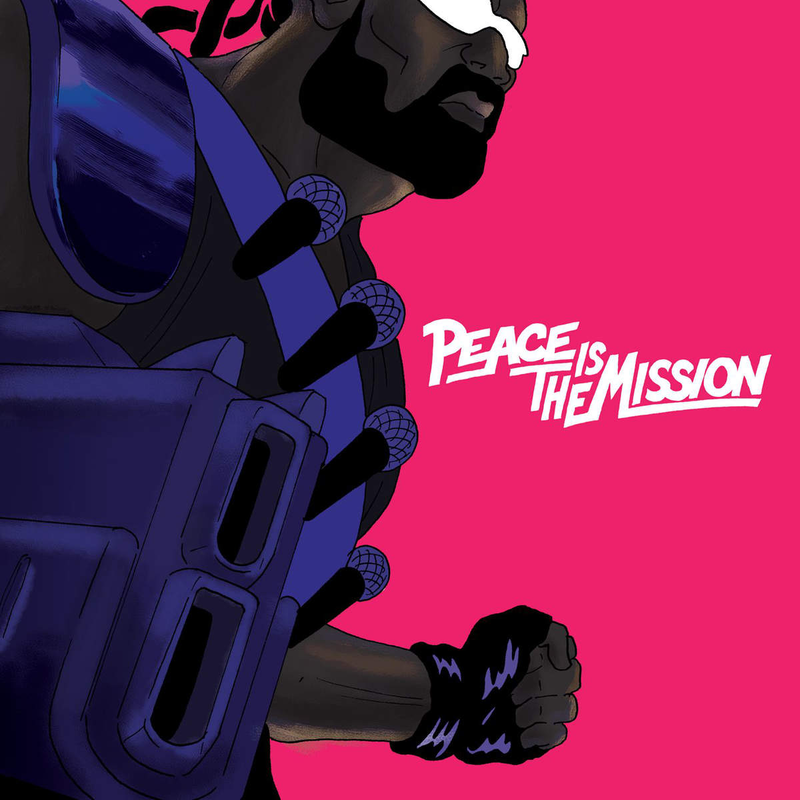 Major Lazer’s new album Peace is the Mission is the trio’s most pop-oriented yet. This genre-fusion project – led by U.S. producer Diplo – has gone from working with hard and uncompromising dancehall artists to feature several slick and more polished pop singers. Peace is the Mission is Major Lazer’s third album and it has been preceded by several singles, including the hyper-catchy MQ and DJ Snake combination Lean On. This is global dance music, heavily influenced by the Caribbean music scene, especially Jamaican dancehall and Trinibagoan soca. The energy levels are high, even though there are room for slower jams, such as the dreamy and beautiful Tarrus Riley and Ellie Goulding combination Powerful and the hip-hop-tinged Night Riders, which features Travi$ Scott, Pusha T, 2 Chainz and Mad Cobra. Peace is the Mission is electronic and electric. It’s dancehall for festivals and stadiums and a logical and mature follow-up to Free the Universe. 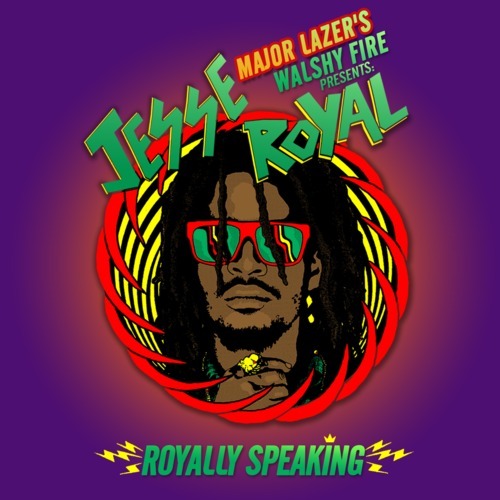 While we wait for his debut full-length album Jamaican singer Jesse Royal has joined forces with Major Lazer’s Walshy Fire for a fierce mixtape titled Royally Speaking. This is Jesse Royal’s third official mixtape and his first with Walshy Fire, a DJ and producer that has previously dropped storming sets with Addis Pablo and Chronixx. Jesse Royal is part of Jamaica’s recent roots revival scene, a scene that features artists like the above-mentioned Addis Pablo and Chronixx, but also Protoje, Kelissa, Iba Mahr, Dre Island, Loyal Flames, Jah9 and Micah Shemaiah. Royally Speaking comes with 25 tracks excellently mixed together by Walshy Fire. It comes with original cuts, interludes, dubplates and hip-hop-flavoured remixes. Listen, download and check the full track list over at Soundcloud. Russian born producer and musician DJ Vadim follows no musical rules, and on his latest album Dubcatcher he has crafted a clever mix of reggae, hip-hop, bashment, soul, funk, dubstep and probably a few other genres too. He’s a genre-bending artist to say the least and has worked with luminaries such as Stevie Wonder, The Roots, Public Enemy, Kraftwerk, Sly & The Family Stone and Paul Weller. In 2002 he was also nominated for a Latin Grammy for his work with Spanish hip-hop group 7 Notas 7 Colores. 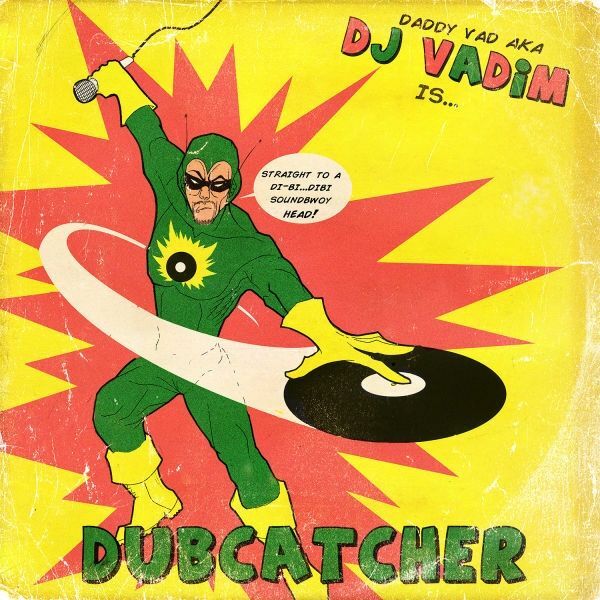 Dubcatcher is DJ Vadim’s eleventh studio album and neighbour with recent sets from artists and groups like Mr. Benn, Major Lazer and The Courtney John Project. It’s rich, varied and based around samples and live playing courtesy of Fat Freddy’s Drop and King Porter Stomp. Even though DJ Vadim has glanced at the history of reggae and hip-hop, he has not tried to recreate roots reggae, dancehall from the 80s and 90s or boom rap. Dubcatcher is not the sound of yesterday, rather the sound of today and tomorrow. On the set DJ Vadim has invited a notable and interesting list of guest artists, including Jamalski, Demolition Man, Governor Tiggy, Serocee, Katrina Blackstone, YT, Jimmy Screech and Gappy Ranks, on a remix of his single Carpenter. They sometimes fight the propulsive and fat beats, other times they float effortlessly over them delivering pop hooks and catchy melodies. With Dubcatcher DJ Vadim has delivered a set with unprecedented energy, playful production and impressive vocal efforts, especially Demolition Man’s and Jamalski’s fiery tongue twisting on Badman and Raggamuffin Life respectively. Two blazing mixtapes were put out today – one from the well-respected UK label Maximum Sound and one from Suns of Dub & Walshy Fire, one third of futuristic dancehall trio Major Lazer. The Maximum Sound mix is a 20th anniversary mix covering 95 tracks from 1993 to 2013 mixed to perfection by Gussy from Silver Star Sound. It collects a truckload of big tunes, for example Bunny General’s Spy Fi Die, Fantan Mojah’s Stronger and Captain Sinbad’s Worldwide Rebellion. If you need the full tunes – and you probably do – they are easily available as digital download on the compilation Maximum Sound 20:20. Meanwhile, listen over at Soundcloud. The mixtape from Suns of Dub & Walshy Fire is a completely different affair. Suns of Dub is an ethereal two piece group consisting of the late Augustus Pablo’s son Addis Pablo and his partner Ras Jammy. They are the next generation of Rockers International and for this project they have some of their contemporaries onboard – Chronixx, Protoje, Kabaka Pyramid and Randy Valentine. But included are also legends like Bob Marley and Luciano. Walshy Fire has treated the original material brutally. It’s a perfect mess mixing all things with a big, bad and bold bass. It’s a journey through dub, reggae, dubstep and dancehall via hip-hop, drum and bass and electronic dance music. If you dug Walshy Fire’s treatment of Chronixx’ material from last year, you’ll need this one also. Listen and download via Soundcloud and check the full story behind the project over at LargeUp. Last year I wrote a short piece about hip-hop superstar Snoop Dogg’s Selassie praising Rasta alter-ego Snoop Lion and his debut single La La La. I wrote that his spiritual transformation seemed like a clever marketing ploy directed by hipper than hip producer Diplo from Major Lazer, but that the single, with its haunting Artibella sample, was very tasty. Same goes for the full album that arrived a few days ago. The Rasta gimmicks are too much and the album isn’t profound or spiritual in any way. But a majority of the 16 tracks – only twelve on the U.S. edition – shouldn’t be ashamed of themselves. Reincarnated is a clear departure from Snoop’s previous hip-hop albums and he has also abandoned rapping and changed his delivery to a more singing-oriented approach. As a rapper Snoop is the essence of smooth, but as a singer he isn’t as talented and has to rely on backing vocalists or one of the 14 guest artists, guests that on several occasions outshine him, especially Mavado, Popcaan, Angela Hunte, Jahdan Blakkamoore and Miley Cyrus. Yes, it’s the Miley Cyrus, and yes, it’s quite a surprise to hear her flexing her skills over a smooth reggae beat. The album was mainly recorded in Jamaica with Diplo and Dre Skull – responsible for several rougher than rough dancehall riddims over the past years – handling production. They’ve cooked up a charming blend of sunshine reggae, smooth ballads, blasting electro, echo-laid dub and hip-hop beats with pounding drums and rolling bass lines. It also samples vintage dancehall and has several nods to pastime classics, including an erratic take on the Sleng Teng riddim and a sample from Michael Palmer’s Don’t Smoke the Weed. Highlights include Remedy, where Busta Rhymes sounds like Burro Banton, So Long, a version of Glen Washington’s There’s A Joy, the slow pumping Lighters Up, where versatile reggae singer Jahdan Blakkamoore lacks credit, and the sing-a-long friendly No Guns Allowed. 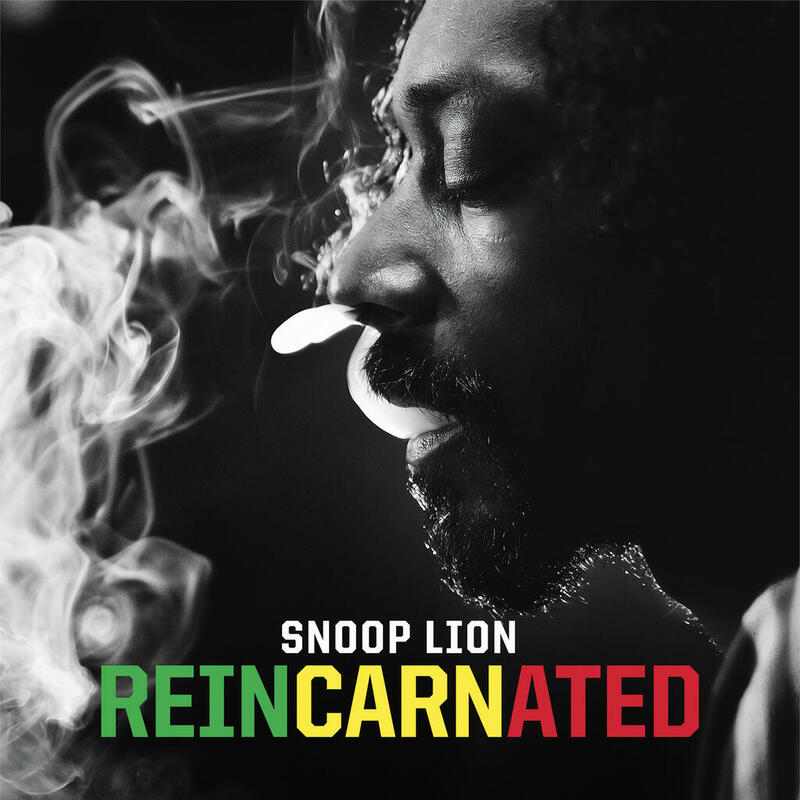 Reincarnated contains plenty of nonsense lyrics and homage to marijuana, but also bright and memorable melodies. And even though the album is credited to Snoop Lion it’s more a compilation hosted by him thanks to the guest performers. Not sure about the target audience for this album. His hip-hop fans will probably loathe it, while the reggae crowd will view him as a fake. No one can however overlook the overall pop appeal of Reincarnated. Major Lazer is the electo-dancehall brainchild of U.S. DJ and producer Diplo and UK DJ and producer Switch. 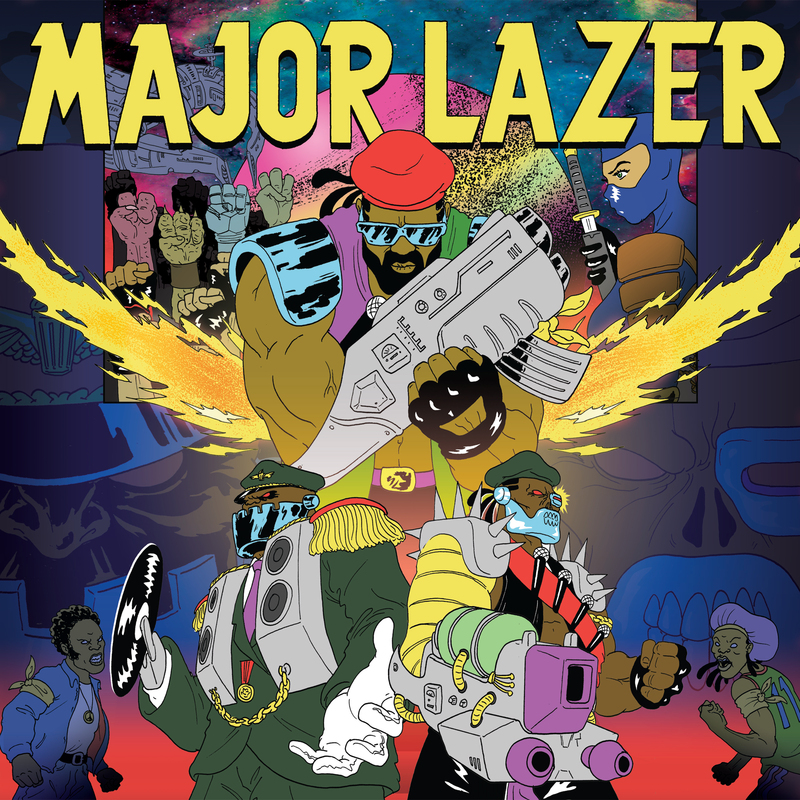 For Major Lazer’s brand new album Free the Universe Switch has jumped the ship and is replaced by Jillionaire and Walshy Fire. The result is in the same frenetic vein as the debut set Guns Don’t Kill People… Lazers do. 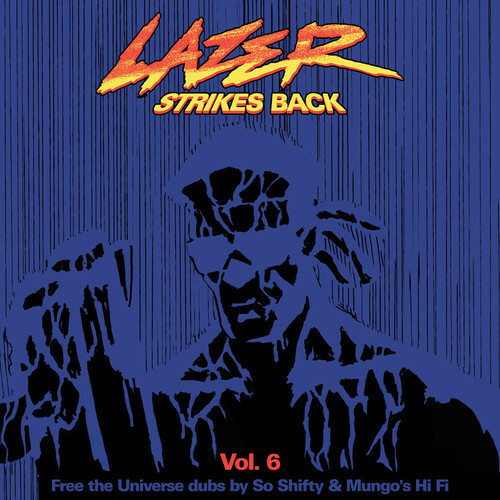 Free the Universe is a fierce party-starting brew of dubstep, reggae, R&B, dancehall, tropical bass and electronica and is not for the fainthearted. The guest list is of biblical proportions and ranges from dancehall dons Elephant Man, Leftside, Vybz Kartel and Busy Signal to pop singer Bruno Mars, rapper Wyclef Jean and rock singer Amber from Dirty Projectors. The album was preceded by three excellent and very different singles – the ambient Get Free, the relentless Jah No Partial, which samples Johnny Osbourne’s Mr. Marshall, and Watch Out For This (Bumaye), where Busy Signal chats over a pounding bass drum accompanied by horns sampled from salsa champions Willie Colon & Ruben Blades’ Maria Lionza. On Free the Universe Major Lazer breaks down barriers between genres and manages to create a modern album filled with distorted voices, skull-cracking drums, soulful reggae-flavored R&B and broken rhythm patterns that will have your neighbors banging on the door asking to turn-down the bass or to join the party. Young, up and coming super-talent Chronixx has really made a name for himself over the past months with strong singles such as Beat & Mix and Plant It. And he has obviously attracted attention from the Major Lazer team. 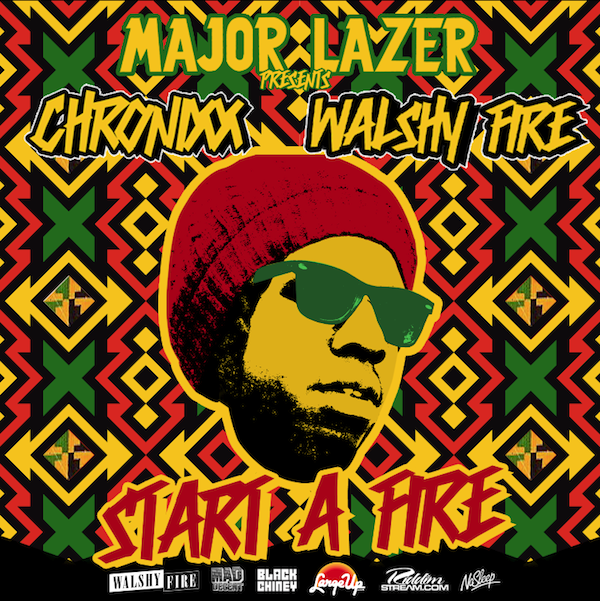 They have now produced and released the mixtape Major Lazer Presents: Chronixx & Walshy Fire – Start a Fyah Mixtape, where the youthful performer sings, raps and deejays over a broad variety of riddims to flex his skills. This is a mighty mixtape. Actually one of the best in a while. And it largely succeeds thanks to the versatile selection of beats and the multitalented Chronixx. Listen to the mix below and don’t forget to head over to Major Lazer’s Soundcloud page to catch the tracklist.